In August 2013 I was extremely excited to begin my position as the Houston Arts and History Archives Fellow at the University of Houston Libraries Special Collections. I was straight out of my graduate program at the University of Michigan and ready to dive into the field as a professional archivist. I was also thrilled to return to Houston, my hometown and favorite city, and to work with materials that reflected the community where I grew up. Over the following two years, I worked on some amazing projects, developed inspiring working relationships, and gained knowledge and skills that I’ll use throughout my career. 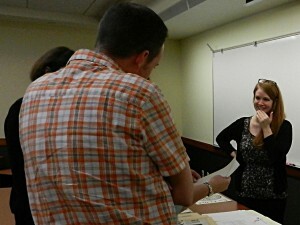 Houston Arts and History Archives Fellow, Stacey Lavender (far right), showcases items from the Main Street Theater Records. The two largest portions of my time here at UH have been dedicated to arranging and describing archival collections and to assisting with the curation of digital projects. I have worked with a wide variety of materials in our Houston Hip Hop, Houston and Texas History, Performing and Visual Arts, and Contemporary Literature collections. I’ll admit that when I started, I was most excited to work with Houston hip hop materials. I felt that hip hop materials were in particularly great need of collecting and that they would resonate particularly strongly with students. I was right! But at the same time, I discovered that each of the collections I worked with, whether they included materials from a German singing club with over 100 years of history, one of the largest regional theatres in the nation, or 1970s and 1980s science fiction and fantasy conventions, documented an important part of our history and held direction connections to the Houston community. I’m proud to have contributed to making so many new materials accessible to our students and researchers, and working with such a diverse array of materials certainly kept me on my toes and made coming to work every day exciting! I’m grateful that this position also provided many opportunities to work directly with our patrons. Throughout my time at UH I spent about eight hours a week manning the reference desk, and this January I also began serving as contact point for Performing and Visual Arts reference. It’s always my pleasure to help students and researchers find the materials they need. One of the most exciting (and unexpected!) outreach projects I worked on was co-curating the “Nina Vance and the Alley Theatre: A Life’s Work” exhibit with our Architecture & Art Library Coordinator Catherine Essinger. Designing and implementing the exhibit, which ran from October, 2014 to May, 2015, gave me the opportunity to work with people all over the library, across campus, and with former and current Alley Theatre actors and staff. I’ll always remember it as one of my favorite accomplishments here. UH has also been very supportive of my professional development, which I think is essential for any early-career librarian or archivist. I have attended several conferences and workshops during my time here, and completed my first professional presentation at the Society of Southwest Archivists convention in 2014. But perhaps my favorite thing about working at the University of Houston Special Collections was the opportunity to work with such an amazing group of colleagues, both in our department and across the library. I’ll miss coming to work with them every day, but I look forward to our paths crossing in the future as I continue my archives career. 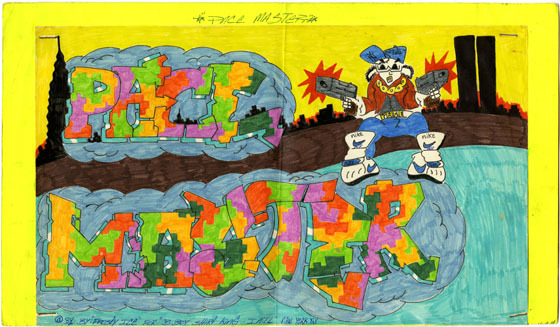 The newest accession to the Hip Hop collections is the Peter Beste and Lance Scott Walker Houston Rap Collection, and it is one that we here in Special Collections are very excited about! Houston Rap is the joint creation of documentary photographer Peter Beste and writer Lance Scott Walker. 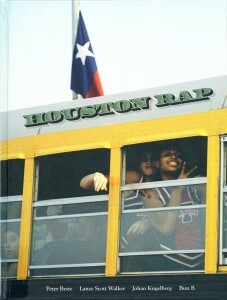 The book provides a vivid glimpse into Houston’s hip hop community through a thoughtful combination of photographs taken by Beste and excerpts of interviews conducted by Walker. Beste and Walker’s collection will provide insight into both the creation of the book and the relationships Beste and Walker developed with members of the community they were documenting. The majority of the collection documents the book’s production and promotion and will provide behind-the-scenes insight into the authors’ work process. Items found in this part of the collection include a hard drive containing thousands of Beste’s photographs, nearly one hundred interviews conducted by Walker, hundreds of photo prints which were used in the editing process, and materials, like stickers and T-shirts, used to promote the book. 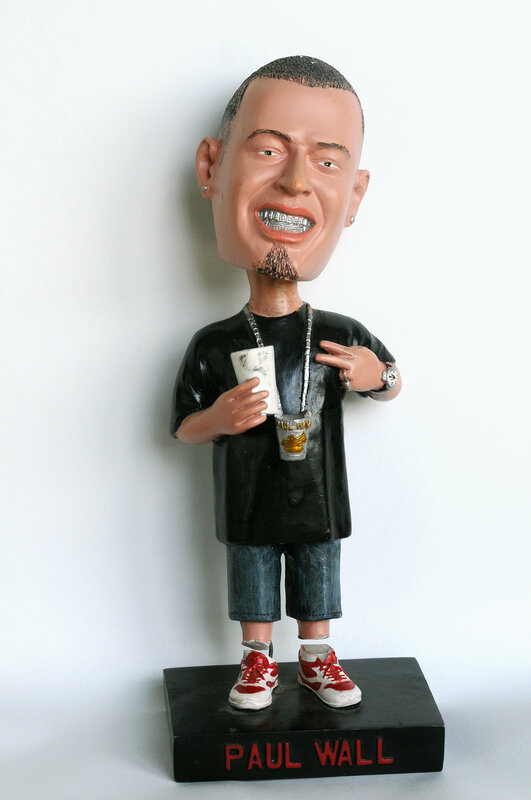 The collection also contains a wide variety of hip hop memorabilia and promotional material. 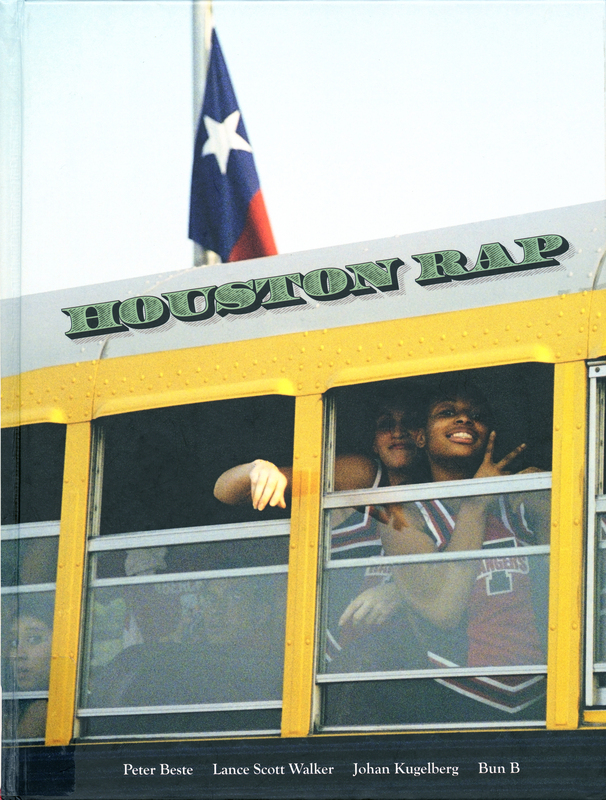 Houston Rap and its companion book Houston Rap Tapes took nearly a decade to complete, and during that time Beste and Walker developed strong working relationships with, and collected materials from, a wide variety of players in Houston’s hip hop scene. Visitors will find T-shirts, posters, promo cards, signed photographs, and other collectibles (bobbleheads and grills!) featuring artists and groups like DJ Screw, UGK, Paul Wall and many others. There are also a handful of letters and song lyrics written by artists and given to the authors. After processing, all of these items, and many more, will be available in the Special Collections reading room. We hope that hip-hop scholars, researchers, and any interested members of the public visit us and take a closer look! The University of Houston Special Collections is happy to announce both the recent publication of the Houston Saengerbund Records in the UH Digital Library and significant additions and revisions made to the finding aid for the related physical collection housed here in Special Collections! 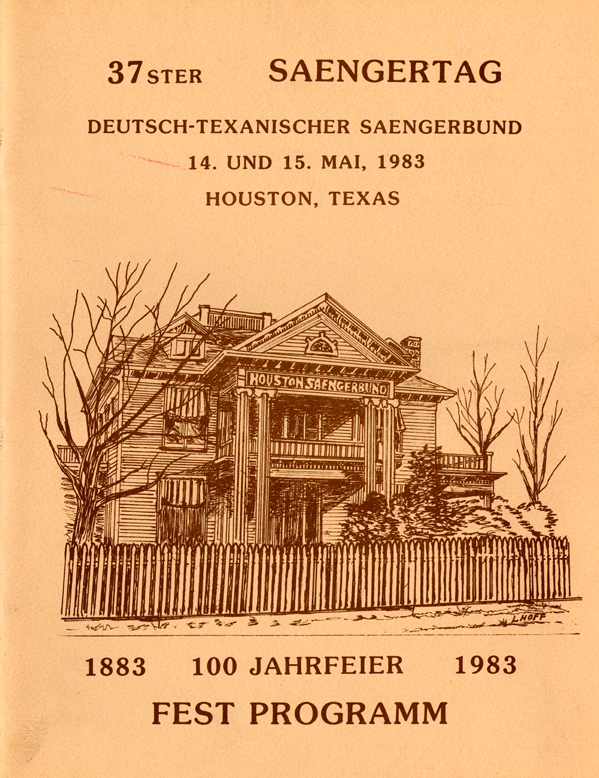 The Houston Saengerbund is a German singing society that has been active in Houston for more than a century and continues to perform at public events throughout Houston and Texas to this day. It was founded in 1883 and was one of many all-male singing organizations which formed in the German communities of Texas during the last half of the 19th century. These local groups were united under Der Deutsch-Texanische Saengerbund (the German-Texan Singers’ League), a regional organization that held biennial meetings and Saengerfeste (Singing Festivals) in various Texas cities. 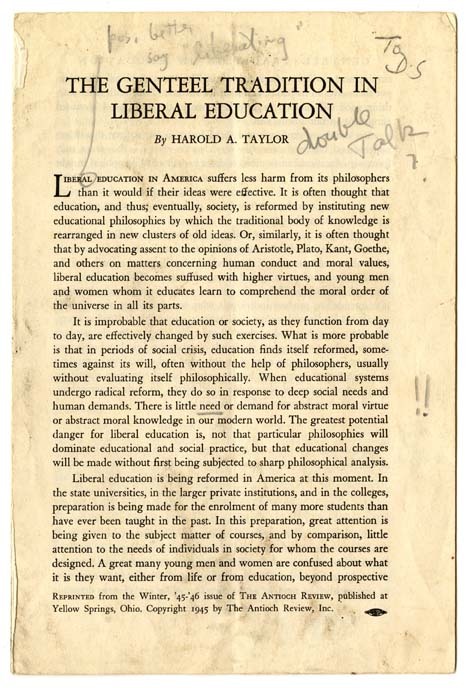 Both the digital collection and physical materials provide insight not only into the activities, performances, membership, and administration of this group, but also into its responses to major events and social changes throughout the last century of American history. 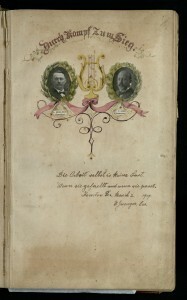 The digital collection consists of five bound ledgers covering the years 1874-1937. In these ledgers you’ll find meeting minutes, financial statements, programs, clippings, and correspondence between the Houston Saengerbund and other German organizations. The materials span the time from the group’s inception, through its growth to over 1000 members in the years before World War I, and to the formation of the Ladies Auxiliary and the Damenchor (Women’s Chorus) in 1937. The updated finding aid describes physical materials dating from 1874 to present. Here you’ll find songbooks and event materials, administrative records, legal files, financial records, and publications from all points in the group’s history. Of particular interest is the effect of anti-German sentiment that developed during the World Wars. 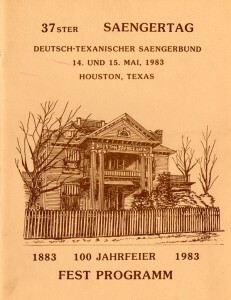 With the onset of World War II, the Saengerbund members changed the name of the group to “The Houston Singing Society,” quit their primary activity of singing German songs, and began keeping minutes in English due to their concern about arousing anti-German sentiment. It wasn’t until after the war ended that the club members restored both their singing and their name. The events mentioned above are just a couple of the points of interest to be found in the rich and storied history of The Houston Saengerbund. Check out the digital collection or visit us here in Special Collections to find out more! The University of Houston Special Collections is excited to announce the publication of the Literary Manuscripts and Correspondence finding aid. Items in this collection, which include letters, notes, and writings by several major literary figures, were previously housed separately in our A-Z files, but have now been gathered into one place to provide easier access for researchers interested in contemporary literature. In this collection you’ll find items from many recognizable writers, such as Henry James, Gertrude Stein, Ezra Pound, Charles Bukowski, and Eugene O’Neill. The materials also cover a wide range of time periods and locales. The oldest item, a letter from English poet Richard Braithewate, was written in 1634, while the newest, an article written by James Thurber for the magazine Adirondack Life, is from 1991. The collection also contains materials both from close to home, including letters written by Texas’ own Katherine Anne Porter, and abroad, such as letters written by Irish novelist Norah Hoult and an autograph from Romanian playwright Eugène Ionesco. Take a closer look at the finding aid to see which of your favorite authors make an appearance, or better yet, come visit us at Special Collections and see these unique and interesting materials in person! 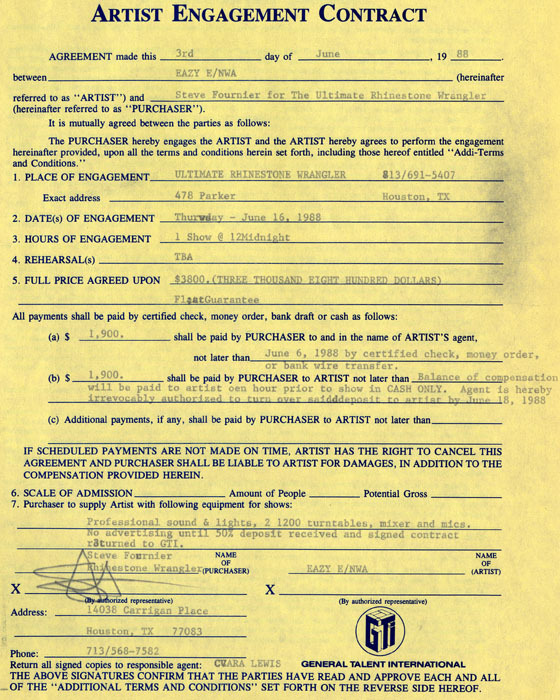 The University of Houston Special Collections is excited to announce that findings aids are now available for the DJ Steve Fournier Papers and the Carlos “DJ Styles” Garza Papers. These two new additions to the Houston Hip Hop Collections provide a glimpse into the early days of hip hop in Houston through the work of two pioneering DJs. Steve Fournier DJed at prominent Houston clubs like Struts Disco, the Boneshaker, and the Rhinestone Wrangler throughout the 1980s and 1990s, steadily adding more and more hip hop to his mixes and helping to organize live rap performances. He also founded the Rap Pool of America in 1985, which eventually became the largest rap record pool in the country, sending out the latest hip hop albums to over 200 member DJs. 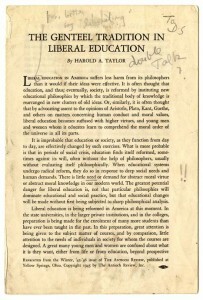 His collection contains documents, photographs, publications, and memorabilia relating to his work. 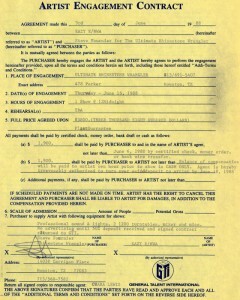 Of particular note is the Rap Performer Contracts series, which contains performance contracts for several prominent rappers, including Eazy-E, N.W.A., Sir Mix-A-Lot, Public Enemy, and Ice-T.
Carlos “DJ Styles” started out as a break dancer with the group The Dynamic Crew, performing under the name DJ Pace Master. Shortly thereafter he began DJing under the name DJ Styles, and eventually became a successful hip hop music producer, working with artists like The Odd Squad, Devin the Dude, and the Coughee Brothaz. He continues producing, mixing, and mastering hip hop music to this day. This collection includes personal records, fliers, posters, photographs, business records, audiocassettes, and memorabilia from throughout his career. My personal favorites are the hand-drawn fliers from his early days break dancing with The Dynamic Crew. Both of these collections are worth a look, so browse through the finding aids and then stop by and visit us at Special Collections!